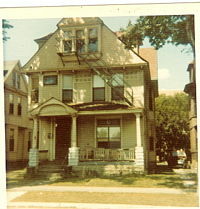 718 was a 26x44 foot frame dwelling built for $3000. It had electricity and plumbing from the start. It got by for 71 years with with only minor repairs but in 1963 was damaged by a fire. The owner put in $2500 to repair the damage and the permit noted that there were "no structural changes." 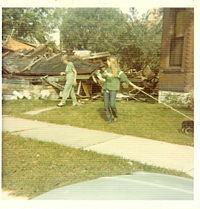 Nine years later, in 1972, the house was wrecked. The house was owned by Alan Linoff by least 1963.